Jess Smith - celebrated author of Bruar's Rest, three volumes of autobiography and a collection of stories, storyteller, activist and Traveller - last night read from Richard O’Neill’s 'Sorry is the Hardest Word' at a Kirk fringe event for the General Assembly of the Church of Scotland. She first performed this challenging monologue about the treatment of the Travelling Community in Scotland at the Storytelling Festival in Edinburgh in 2008. The monologue is inspired by the oral traditions of the Traveling Community and highlights past wrongs done to the Scottish Travellers by individuals and authorities in Scotland. Two years ago, after hearing the monologue and talking to Jess, Rev Russell McLarty put the following request to the General Assembly: 'Request that the Church and Society Council considers the question of how the Travelling People have been treated in the past and how they might be properly recognised by the Church and the state in the future'. The request was accepted and since then a study has been carried out on the Church’s attitude to the Travelling community in Scotland, by an ecumenical working group on behalf of the Scottish Church’s Racial Justice Group. The report of the group considers many aspects of life for the Traveller and how society, state and Church had treated individuals from this community. Areas covered by the group include: housing and access to land; employment; education and welfare; discrimination prejudice and harassment; government initiatives; identity; and the Travelling Community and the Churches. Recommendations from the group will be heard by the General Assembly today, 24 May 2011, when it is widely anticipated that the Church of Scotland will acknowledge its role in past wrong-doings and look for ways to work with the Scottish Government and local authorities to protect Travellers from discrimination in the future and to celebrate their culture. Yesterday we announced the fantastic news that The English German Girl by Jake Wallis Simons has been chosen for the inaugural Fiction Uncovered promotion. We thought you might like to see ‘behind the scenes’ Wallis Simons and to hear Jake reading a short extract from the book. Jake will also be appearing at the inaugural Ayton Literary Festival on Sunday 26th June, in conversation with a survivor of the Kindertransport to talk about this incredibly important and moving moment in history. Fiction Uncovered Uncovers The English German Girl! ﻿﻿﻿﻿﻿﻿Polygon is delighted to announce that the novel The English German Girl by Jake Wallis Simons has been chosen for the inaugural Fiction Uncovered promotion! It is one of only eight books chosen for the promotion which aims to support the UK’s best fiction writers whose work deserves wider recognition through the media and stronger promotion in bookshops, libraries, readers’ groups and websites, and through the new electronic media tools – eBooks and apps. Polygon is the only Scottish publisher represented on the list. The judging panel consisted of writer Giles Foden (Professor of Creative Writing at University of East Anglia), Damian Barr (writer and salonnière), Simon Burke (Campaign Buying Manager for Waterstone’s) and Sarah Crown (Literary Editor, Guardian Online). All of the books will be available through Waterstone’s, iBookstore, Amazon, Foyles, WH Smith, the Book Depository and the Book Partnership (reaching independent bookstores). There will also be a series of Fiction Uncovered events throughout summer 2011 starting with the Shoreditch House Literary Salon (19 May), The Book Stops Here (13 June) and, in association with Literary Death Match, at Latitude Festival (14 July). Fiction Uncovered is supported by Arts Council England and funded by the National Lottery. ﻿﻿ ﻿﻿﻿﻿﻿﻿﻿﻿﻿﻿﻿﻿﻿﻿﻿﻿﻿﻿﻿﻿﻿﻿﻿﻿﻿﻿﻿﻿Two Polygon authors will be appearing at the festival, with Alexander McCall Smith being the first author to appear on the first day – a debut and a half! – to talk about the latest goings on at Corduroy Mansions in London’s slightly less picturesque Pimlico. 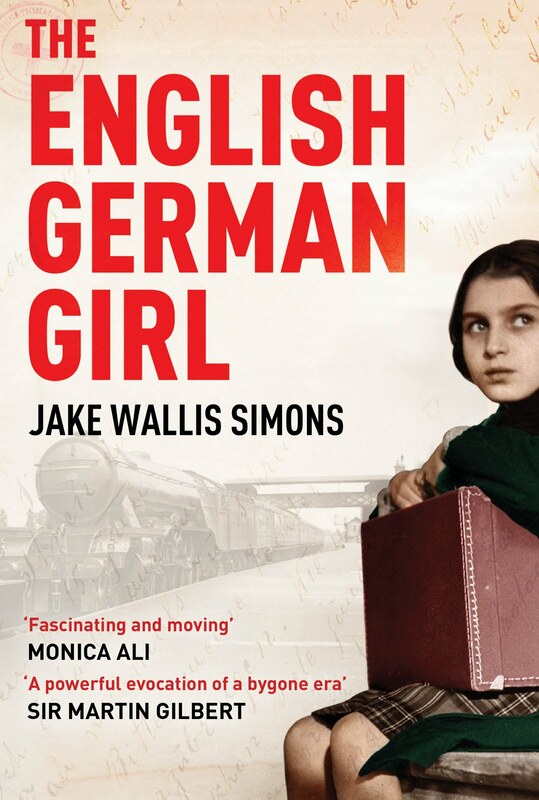 And to neatly bookend what promises to be a wonderful weekend, Jake Wallis Simons will be the final author on the final day to read from and talk about his immensely moving novel, The English German Girl. 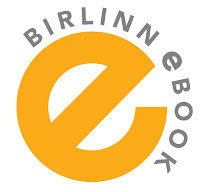 Birlinn and Polygon eBooks Go Live Today! The book world has been taken by storm by the new way of reading, and no matter what you like to read – fiction, biography, history, crime – or how you like to read it – as a book, on a Kindle, on an iPad or any of the new e-Readers - Birlinn and Polygon eBooks have something for you! 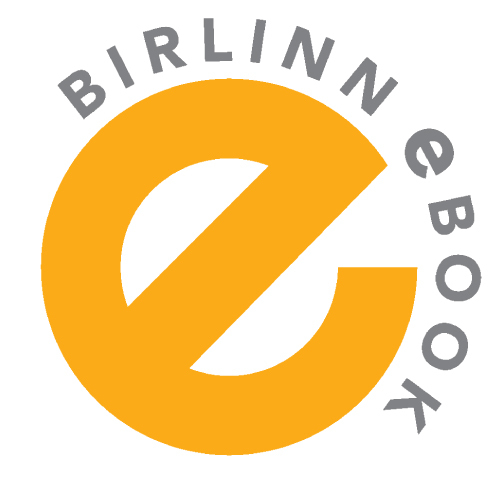 This is absolutely not the end of traditional paper books for Birlinn and Polygon - fear not - but with eBook sales jumping from 1% to 6% of the whole UK book market in just one year it shows the popularity of the format. 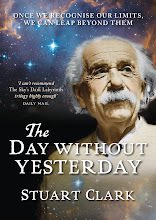 Our new eBooks are available on the most popular eBook retailers websites (http://www.amazon.co.uk/, http://www.waterstones.co.uk/, iBook store shortly) and more titles will be introduced every month. We're aiming to digitise as much of our backlist as possible and produce most of our new titles as eBooks from now on, so keep an eye on http://www.birlinn.co.uk/ for the latest titles available as eBooks! Come on over to www.birlinn.co.uk/ebooks for the list of the first titles to be eBookified! 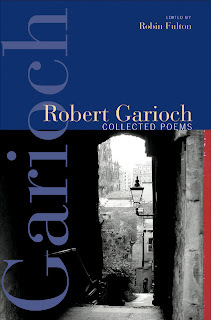 Robin Fulton, editor of the Collected Poems, remembers Robert Garioch on what would have been his 102nd birthday. In the late 1960s and early 1970s I met Garioch quite often and it was very clear to me that behind his courteous, quiet-voiced and sometimes hesitant manner there was a sharp mind very well stocked with knowledge of all sorts. He knew his Latin and his history, but he was also street-wise and knew the value of humble things like pieces of string. He was well-versed in tolerating awkward circumstances, like the irksomeness of trying to combine school-teaching with writing and the more serious tribulations of getting through his years as a P.O.W. He seemed to have learned not to kick against the pricks. His humility on occasion attracted the attention of bullies. “Literary” life in Scotland in the 1960s and 1970s had its less enlightened side: there were not a few loud voices and deaf ears and too often argument aimed at putting down others took the place of open-minded discussion. Some of the minnows in the pond imagined they were piranhas. It was no surprise that MacDiarmid chose to be supercilious: “he has no elevation and is… not only dull but vulgar in the worst sense.” I suppose the Great Man was aware how Garioch had little patience with his windy self-promotion (and with what he saw as MacDiarmid’s political naivety).) Nearer home, I heard unkind and unjust comments from people who ought to have known better. On the other hand, those who actually knew him and read his work without preconceptions held him in great esteem and affection. My own part in editing Garioch came about through my work with Callum Macdonald. I edited 37 issues of Lines Review and Callum and I printed as much as we could by Garioch; we also brought out his collection Doktor Faust in Rose Street (1973). When Garioch died Callum asked me to write something for Lines Review but I felt a bit tongue-tied about that and suggested we could do a decent collected edition, which we did, and that was Complete Poetical Works (1983). 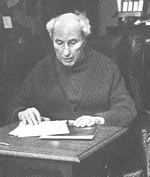 We followed that with A Garioch Miscellany (1986 ), which included, among other things, samples of his letters, of his book-reviews, and of his way of working on the Belli translations with Antonia Stott. When Callum retired The Saltire Society took over his stock but in due course it became clear that they were about to let Garioch simply go out of print. That’s where Birlinn came in, and the current edition appeared in 2004 with the Polygon imprint, now called Collected Poems, with Garioch’s ordering of the poems restored and a new introduction. It was heartening to come across Seán Haldane’s piece on Garioch in The Dark Horse (21), an example of how Garioch´s work deserves to be approached. He sees Garioch as in the “first three” along with Maclean and MacDiarmid, and concludes that “Taking Garioch seriously means reading his poems not only with a mind open to his wit and intellect but with a heart open to the intensity of his feeling.” I still feel angry when I see how old misleading labels, once stuck, seem to resist being unstuck. Sometime, somewhere, someone who had done no homework decided that Garioch could adequately be described along the lines of “a Scottish poet who wrote comic verse” (e.g. about a hen). Once started, the belittlement continued as others thoughtlessly stuck on the same label, passing off someone else’s ignorance as their own wisdom. It surely can’t be difficult to see that Garioch was the supreme verse-caftsman of his generation, and that the whole weight of his life is behind all of his work - his knowledge of Edinburgh, his understanding of Scottish history and literature, and his experience of twentieth century Europe.